There’s no better way of commuting in the city than on a motorcycle or scooter, so take the first step to commuter freedom and book your CBT test in Glasgow at one of our training centres. Alba Motorcycle Training Academy are based in Mile End, just a short walk from Bridgeton train station, so they’re in a convenient location. This training academy has been offering CBT tests in Glasgow for a long time and offer a wide range of machines for you to complete your CBT Test on. The roads surrounding the centre aren’t too busy, which makes them great for your first foray into motorcycle riding. 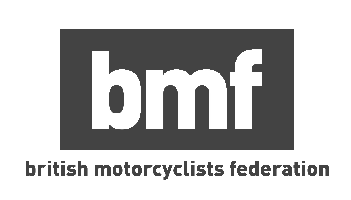 BikeRite Rider Training also offer CBT tests in Glasgow and Lanarkshire, and are based just south of the river Clyde in Rutherglen Industrial Estate. Rutherglen is the nearest train station, and the school is located just off Junction 1A of the M74. Being located in an industrial estate, BikeRite have a large, off-road training area, and also provide a fleet of bikes that are new or just one year old. The roads around the site are mostly a mix of residential and industrial areas, so they’re a little quieter than the city centre. Outside of Glasgow there is Harley’s Rider Training, situated in East Kilbride. East Kilbride is just a 30 minute train journey south of Glasgow, with Harley’s Rider Training situated on Glenburn Road, a 30 minute walk from the train station. Harley’s have been providing CBT tests in Glasgow and South Lanarkshire for over 10 years, so they’ve got plenty of experience to see your through your CBT test without any issues. When you decide you want to gain a provisional motorcycle licence and take your CBT test in Glasgow, the next step is deciding what kind of powered-two-wheeler you would like to ride. If you favour practicality and ease of use, then your best best would be a scooter. Scooters have an automatic gearbox, which means you don’t need to worry about selecting the right gear while you’re riding. Most scooters also offer underseat storage, which in many cases doubles a a space to store your helmet when you’re not riding. Scooters are very popular with inner-city riders, because of their practicality and ease of use, and you’re guaranteed to find one that’s just right for you. There are dozens of different scooters to choose from with both 50cc and 125cc capacities - even scooters with three wheels! If you dream of riding bigger motorcycles in the future, you’ll surely want to go for a fully manual motorcycle. Motorcycles take a bit more skill to master, due to the addition of a clutch and gears, but once you have those mastered you’ll have much more control over the bike than you would a scooter. Right now, these are our favourite motorcycle and scooters you can ride with a CBT. If you need a little help choosing the right bike for you, head over to our bike guide and we’ll help you out. Whichever you choose for your two-wheeled career, our CBT test centres in Glasgow will be able to provide with a suitable machine for your CBT test.